As if choosing a gift for friends and family was not hard enough, we also have to deal with choosing the perfect gift packaging. 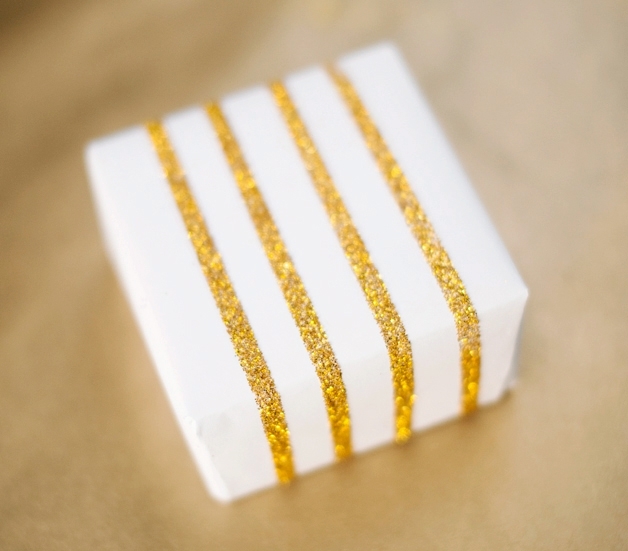 Yes, we never particularly think about gift packaging but we cannot deny that a pretty gift wrap is like a perfect icing on the cake that makes the package looks fancy but eventually gets smashed up in the pursuit of what lies inside. It is easy to splurge on gifts and gifts wraps for our loved ones, however, it is creating your own gift wraps that require efforts. And today we are all set to do it and we hope you get to try them as soon as possible, after all, some people deserve a little more of your thought and effort, isn’t it? 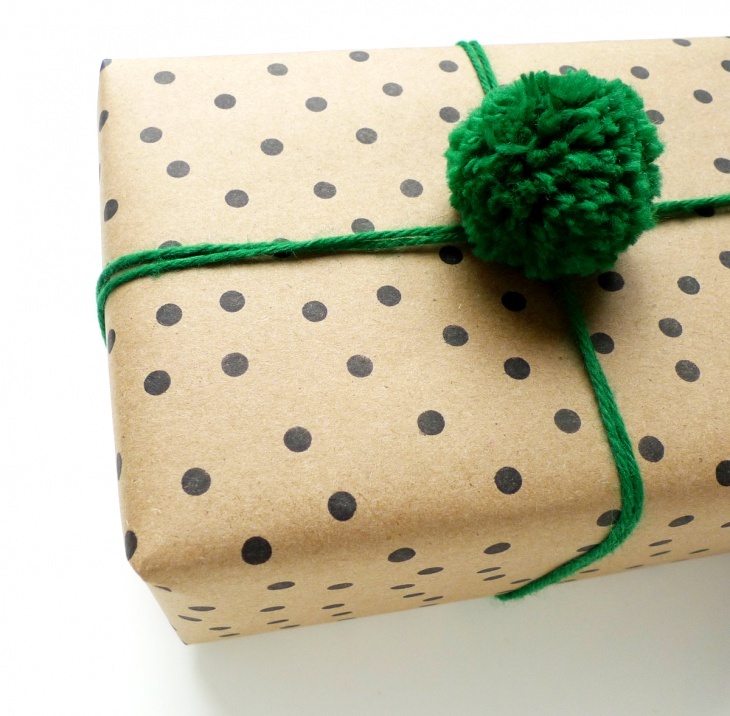 These gift packaging ideas would surely create a long lasting impression on the receiver. This is a refreshing idea for the digital world that we live in today. With emails and e-cards, the faces of post stamps have almost disappeared. 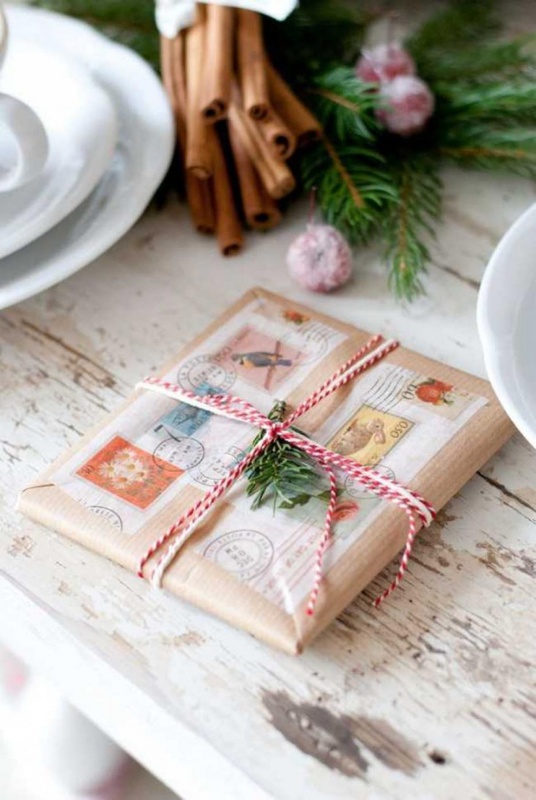 This gift wrap would certainly bring back the nostalgia of good old days. Do you have a friend who loves traveling or want to pursue traveling then here is an inspirational gift wrap. All you need is an atlas and you are good to go. 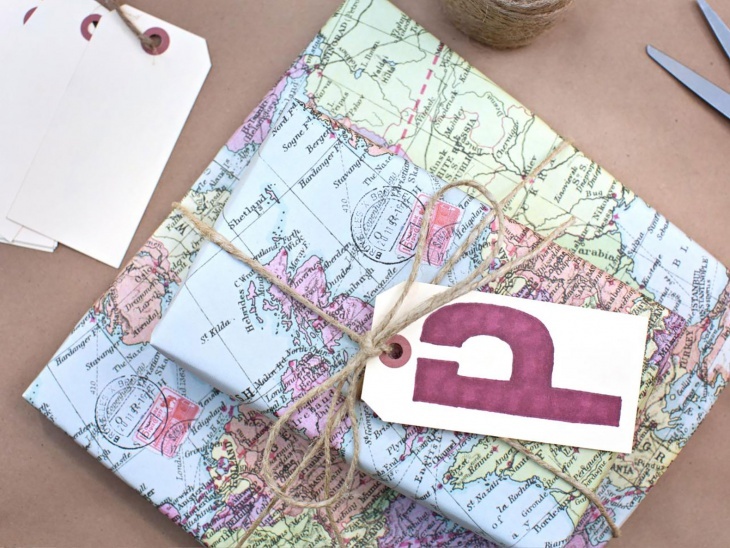 Take up any map from the atlas you wish and wrap up the gift. The receiver would love it and love you for the thoughtfulness. This is a unique packaging style. 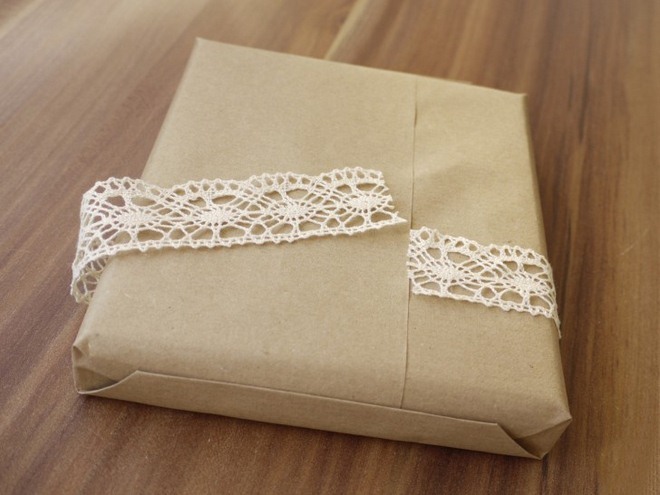 You will need 2 layers of sheets for this gift wrap. Take one sheet and wrap up the gift with it. Take another sheet and outline the design of your choice on it. From the outlined design cut out half of the design with the help of a paper cutter and fold it outwards. Now wrap it over the fist sheet as the second layer of the packaging. It is a simple idea but the outcome is beautiful and you can mark our words for that. This is another easy DIY idea that requires pompoms. 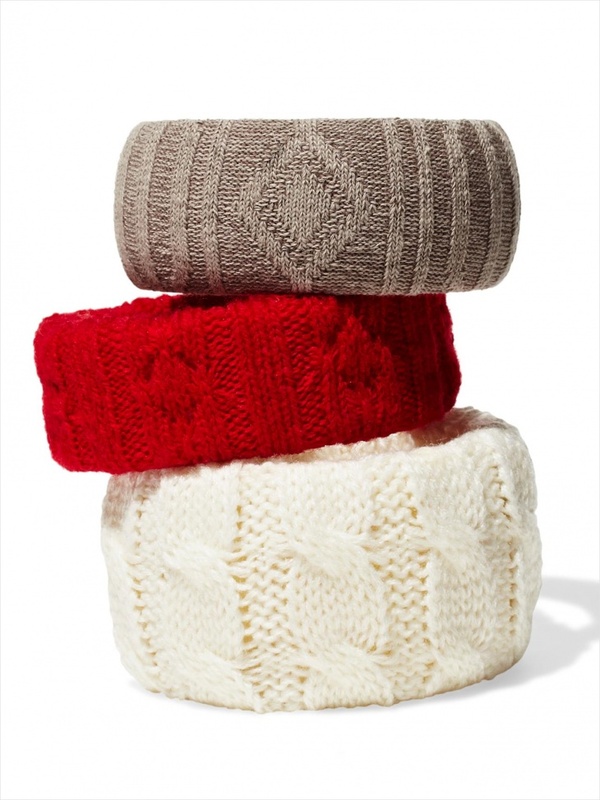 Create a cute pompom out of yarn or thread and use it to tie your gift instead of the same boring bow knot. Laces are great for decoration purpose. We have suggested them to you for ample number of DIYs and we suggest you to try packing your gifts with them too. The will add a warmth and elegance to your present. Another favorite on our decoration list is glitters. They can create a spark in any plain boring object. You just need to give them a try. Add glue to the sheet and spread the glitters on top. Once the sheet gets dry dust off the remaining glitter. 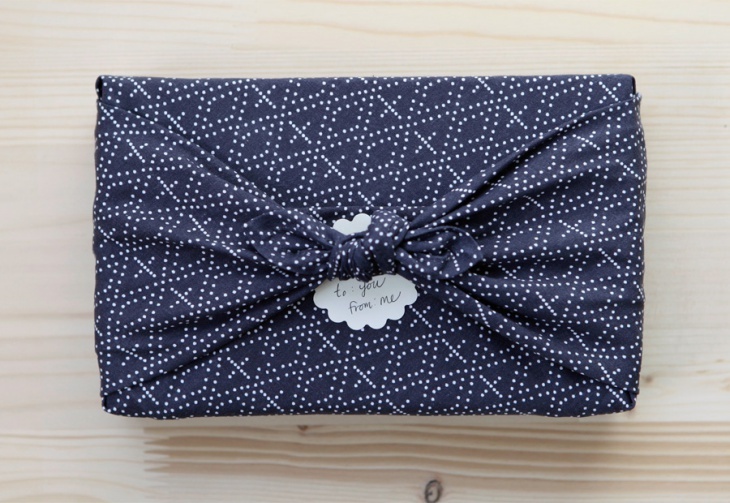 To top everything here is another reason why you should try these gift packaging ideas, these gift wraps are also eco friendly and most of them can be made with reusable objects.